A “very stable ski” with titanal and reverse camber, huh? Quick — does that sound like any other ski you’ve heard of? 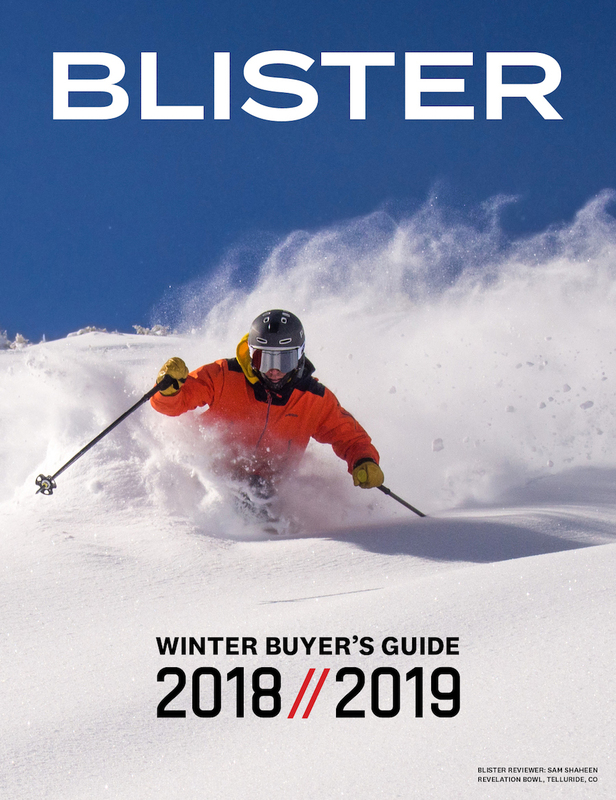 If you’re going to promise big stability, then you’re probably going to want to build a fairly stiff ski. And the Daemon is, for the most part, with one notable exception. Black Crows describes the Daemon as having a “very solid flex under the foot, and a “progressive” flex at the tips and tails. And that’s certainly what I found. 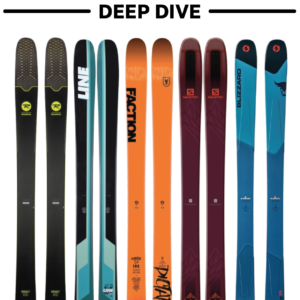 But what really jumps out is just how soft the tips of the Daemon are especially compared to — spoiler alert here — the Volkl Mantra, the other ski that immediately comes to mind when you’re talking about ~100mm-wide, reverse-camber, all-mountain, “very stable” skis. Compared to the Mantra, the first 1/3 (tips, shovels, and forebody) of the Daemon is much softer. If the Daemon progresses in stiffness from 5 (at the tips) to 10 underfoot, the 184 cm Mantra starts at an 8 at the tips, then maintains that 8 or 9 stiffness before ramping up to 10. I.e., unlike the Daemon, there’s no soft zone on the Mantra, and the Black Crows’ intention here is that the softer front of the Daemon will help it to plane up in soft snow. So softer tips + more tip and tail splay? It would sure seem like the Daemon might be the better option in deep snow than the Mantra. 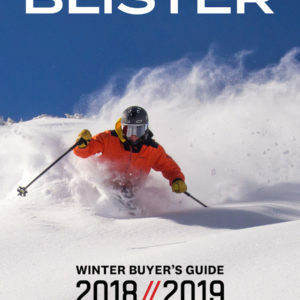 But given that these two skis are 100 mm underfoot, the greater questions might be how well the Daemon handles mixed and firm conditions in general, and also, compared to the Mantra. I’ve already got a day on the Daemon, but I’ll be back on it again this weekend, and also A/B-ing it against the 184 cm Mantra. 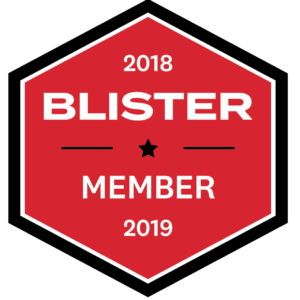 Blister members can now read our initial on-snow impressions in our Flash Review of the Daemon, with sizing recommendations and comparisons to the Volkl Mantra. Cant wait to hear how it felt on snow ??. If I recall most recommendations on the Mantra have been to size down to 177 vs the 184 in the newer RC version so this ski piques my interest as I like the Zero Camber flat underfoot quickness and high angle edge grip when ya need it and something longer than a 177. It will be interesting to hear editors comment on stability with that 5 tip flex ? I was surprised you reviewed the 183 and not the 188 ? any reason for that ? When is the full review coming out? I’m 6’2”. I ride the 188 cm daemons. I wouldn’t go shorter and would prefer a 193. Had them on ice and 15” days. They excel in both! I want a pair with dynafits now because of their versatility. When I saw these in the ski shop last fall, I put them side by side with the mantra’s and they are very, very, very similar. I really wanted to try them out on demo day but they were out being skied all day. 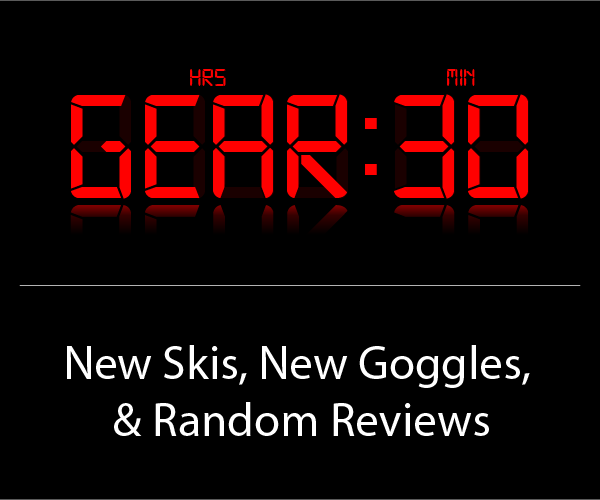 I skied the mantra’s again then tried the new head kore 105’s and ended up buying the Heads. I just can’t get over the slow speed feel of the reverse camber skies and the Heads did big turns just as good as the mantra’s. What do you think of these skis as a one-quiver ski for West Coast resorts, mounted with Salomon SLAB Shift binding? 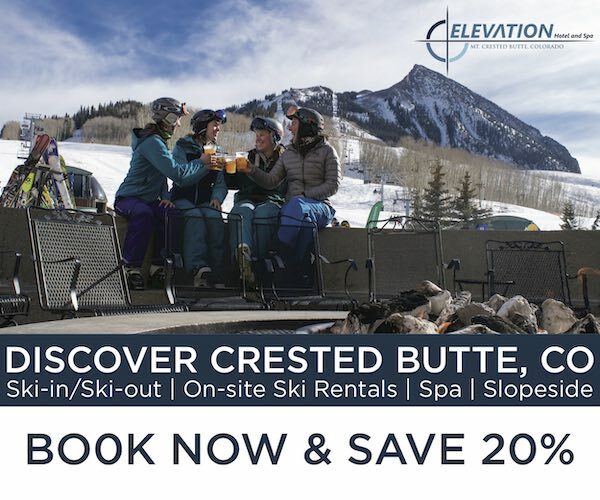 Intended for 50% resort, 30% sidecountry, 20% touring?